VocabDaily Workbook Level 4 Grade Level 2 VocabDaily Workbook Level 4 provides a great resource that would help increase your student's spelling and vocabulary. With effortless daily practice of studying vocabulary this method will surely prepare your student to feel comfortable and has the capability to build confidence in their success in literacy. There are many challenges students face when trying to develop a skillto read and spell. At times a student may know how to read excellent but his orher spelling levels may not be as advanced as their reading levels are. Daily studies of effortless vocabularypractice will give your student the knowledge of new words and to conquering the fear ofspelling to write an essay, a story or maybe even a novel. Succeed in Word Analysis Testing. VocabDaily stands for changing a student ability to accomplish learning two or more words a day. Soon enough your student will identify and recognize words if provided with an analysis test. 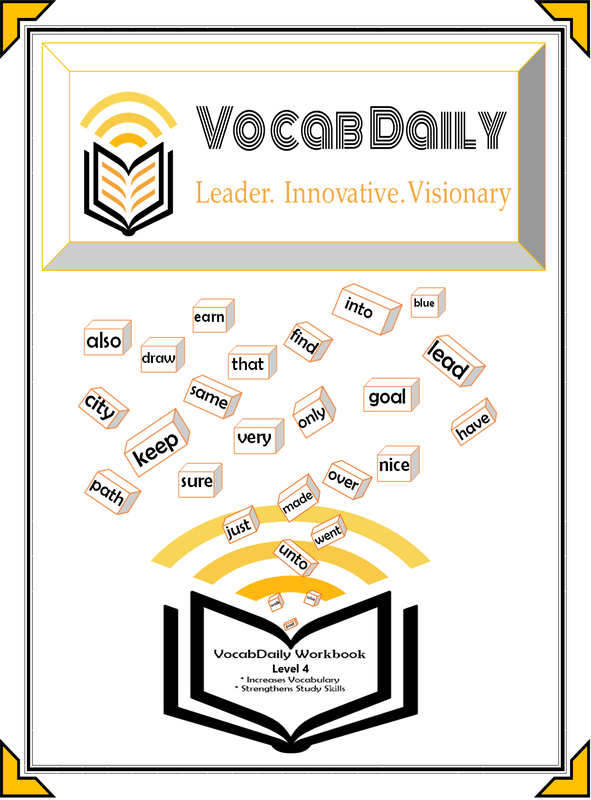 VocabDaily Workbook will surely improve your students reading and vocabulary levels.